When contributing funds to any charity, it is important to have as much information as possible about the organization before you write them a check. With the growing number of internet scams, it’s crucial to do some research to ensure that your donation is used in a responsible manner. Thankfully, there are resources available for you to make sure you are donating to organizations that are trustworthy and legitimate. We are proud to be part of the BBB Wise Giving Alliance (WGA), which makes it easy for donors to make informed decisions when giving to their charity of choice. An article published by Consumersadvocate.org, Give.org – The Benchmark for Giving, outlines the standards to which the BBB Wise Giving Alliance holds charities accountable and how they are making it easier for donors to ensure their money is going to an organization they can trust. 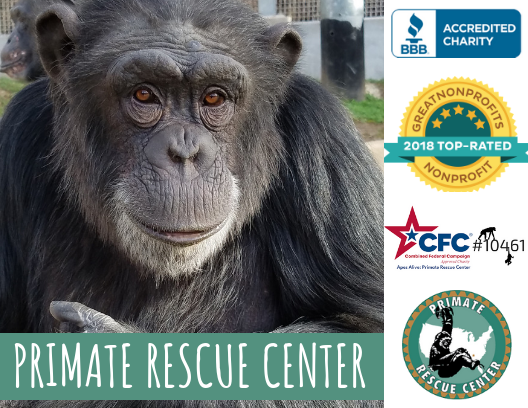 The Primate Rescue Center is a BBB Wise Giving Alliance accredited charity, which means that we meet or exceed all 20 standards that the Wise Giving Alliance has established. By holding charities accountable to these standards, the BBB Wise Giving Alliance helps give donors confidence that their money is going to a reputable organization that will use those funds responsibly. Take some time to read the Consumer’s Advocate article here (Link article again) to find out more about the BBB Wise Giving Alliance and their standards. You can also visit our website here to read more about our commitment to financial responsibility and the many steps we take to ensure transparency for all of our supporters. 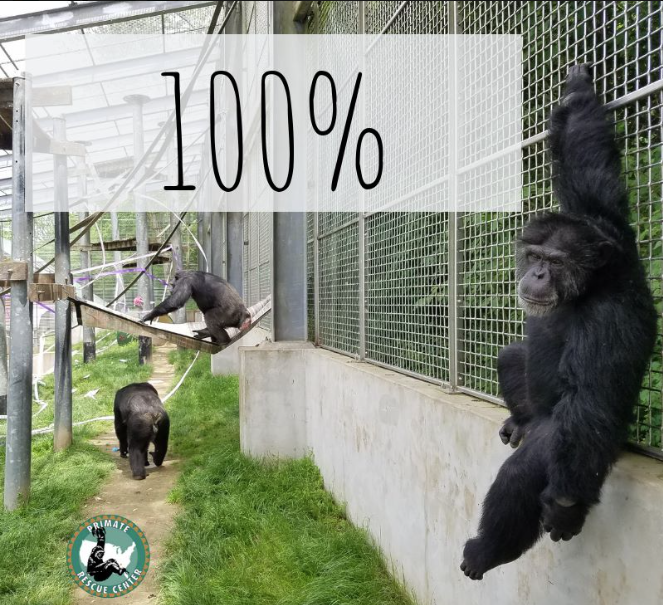 You can give confidently knowing that one hundred percent of your donated funds goes directly to the care of the monkeys and apes who live at the PRC.